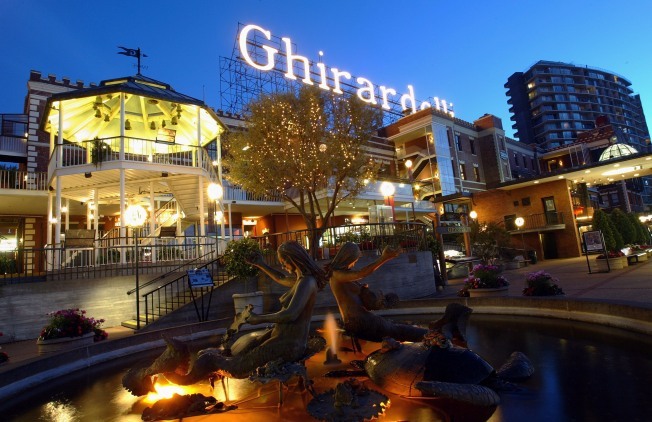 Ghirardelli is having its own troubles. If you've been to Ghirardelli Square lately, you know it's no longer all about a fountain shop, an architect's bookstore and a couple of random restaurants sprinkled together anymore. Six years ago the San Francisco landmark, which was once home to a chocolate factory, underwent a massive transformation. Out were the chain stores, in were local restaurants and cafes like Kara's Cupcakes. The 117-year-old building also welcomed in 53 apartment homes. It seems history and a new vision are not enough to insullate a place listed on the National Register of Historic Places from being impacted by the foreclosure mess grippling the country right now. The San Francisco Business Times reports that the shops at the square are being taken back the lender. The Royal Bank of Scotland confirmed to the business paper that it is foreclosing on property owner JMA Ventures. The bank refused to explain why it is foreclosing on the property but in a "carefully worded statement" to the Biz Times is that the bank "is preventing JMA from exercising two extensions that remain on the $55 million loan."